Short of time to prepare Thursdays posting so I had a quick look through my inbox and came across this wonderful shot of Western National 701, one of the odd ball fleet of Bedford VAMs with the rather sad looking ECW bodywork. It is seen at Kingsbridge about to depart for Dartmouth on the 93 so it follows nicely on from last weekend which is a bonus for me at least. From the Jeff Lloyd Collection - photographer unknown. I know this combination of Bedford VAM and ECW bodywork was a bit of a stopgap order before the more sucessful Bristol LH ECW combination took off properly but I am not sure how many were actually produced. I believe it was Western National and Eastern Counties who took them on, but there may have been one other company, for some reason Lincolnshire Road Car comes to mind? Further research tells me there were some with West Yorkshire and not Lincolnshire. There were 20 Bedford VAM/ECWs built - WN had 12 and West Yorkshire and Eastern Counties 4 each. Strangely, there were two different engine types, some were VAM5 and others VAM14. Eastern Counties had two of each chassis type! 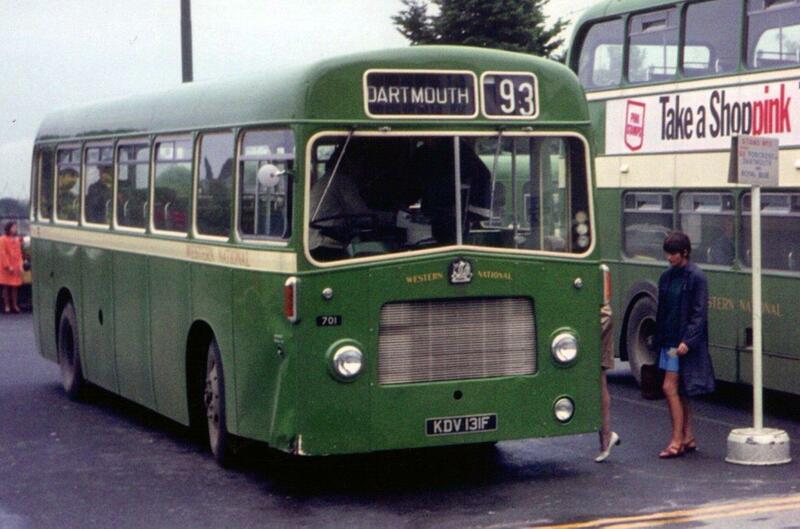 As you say, a rather sad looking vehicle, but a type that made buses interesting in those days!